Emory University professor Frances Smith Foster has been honored with a lifetime achievement award for significantly advancing the study of American literature. Foster, the Charles Howard Candler Professor of English and Women's Studies, will receive the 2010 Hubbell Medal in January from the American Literature Section of the Modern Language Association (MLA) during the MLA's annual meeting. Foster is the first African American woman to receive the award. The Jay B. Hubbell Medal, awarded since 1964, is named for one of the pioneers of American literary scholarship. The medal has been awarded to some of the most distinguished practitioners of the discipline. "The committee is most pleased to recognize Frances Smith Foster, the premier historian of African American women's writing in literary and cultural studies today," says William L. Andrews, the E. Maynard Adams Professor of English at UNC-Chapel Hill and part of the five-member committee that selected this year's medalist. "Each of her books has been pioneering in several respects: the engagement with not only the canonical but the non-canonical, the thorough research into African American periodicals, the serious appreciation of the influence of black Christianity and religious literature on African American writing, the insights into what motivated women writers, and the sensitivity to what their modes of expression signified to female as well as male readers." 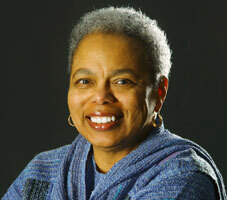 Foster's specialties include African American family life and American and African-American literature. She has edited or written more than a dozen books, including most recently, "'Til Death or Distance Do Us Part: Love and Marriage in African America." The critically acclaimed book, a study of slave marriages that uncovers a rich legacy of love, struggle and commitment in the antebellum era, demolishes stereotypes of African Americans during an era when they were treated as chattel. Foster also is an editor of "The Norton Anthology of African American Literature." She was the recipient of Emory's top faculty honor in 2006, the University Scholar-Teacher Award. Foster served as chair of Emory's English department from 2005-2008 and is the former director of the Emory Institute of Women's Studies. She currently is a fellow of Emory's Center for the Study of Law and Religion. Foster received the Association of Departments of English "Francis Andrew March Award" for exceptional service to the profession of English last year.